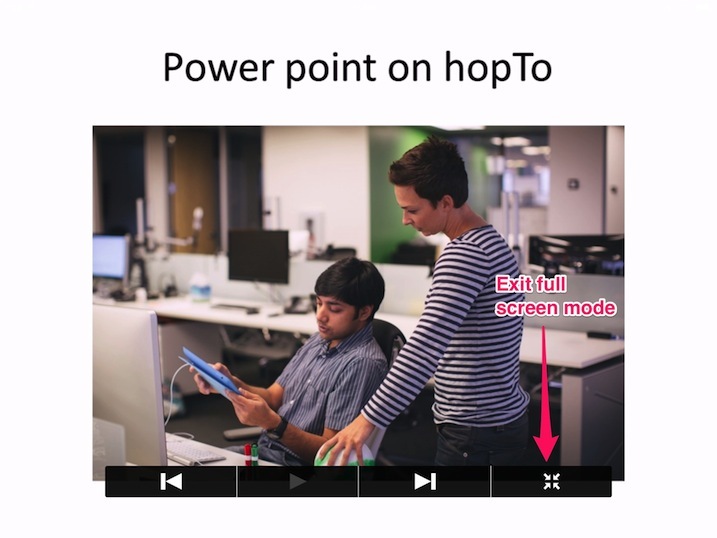 The hopTo iPad app allows you to view Microsoft Power Point presentations remotely using a new and very user friendly interface especially designed for the iPad. This article describes how to view a Microsoft Power Point document. 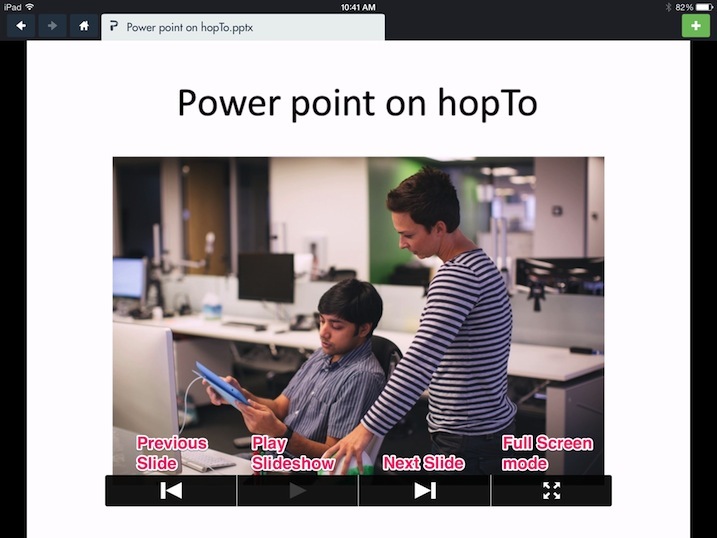 Browse the hopTo iPad app to find the Microsoft Power Point document you want to edit. Open the document by tapping it or by using the orbit menu. 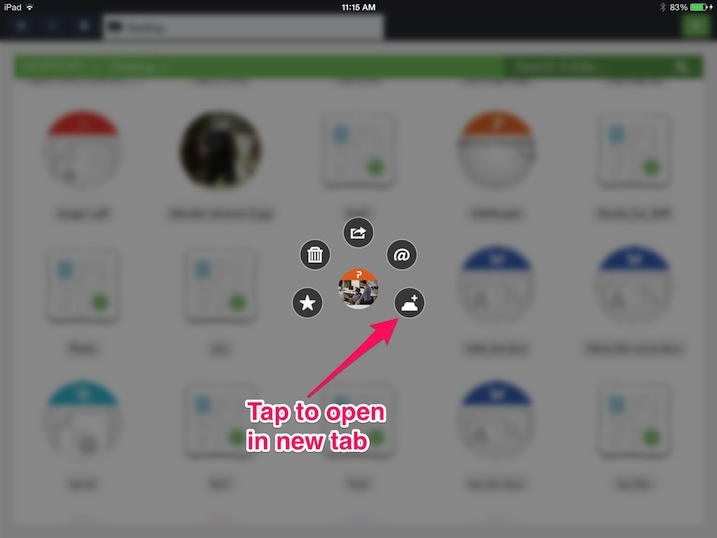 Tap and hold the file icon to show the orbit menu. Choose the open option as illustrated below to open the file in a new tab. Note that the 'Play Slideshow' button is disabled. This button becomes enabled when your presentation is saved originally with with the option to record the slide show. In such cases the slide show will start playing automatically and you will be able to play/pause the presentation. Clicking on the 'Full Screen Mode' button switches the view to full screen mode. The functionality in this view is essentially identical but the slide is presented over the entire screen. A button is available on the control buttons to exit full screen mode and return to normal display mode. I have responded to the case you opened. But as mentioned - PowerPoint right now is read-only and no edits can be made. We are working on adding PowerPoint documents to the list of MS Office files that you will be able to create and edit from within hopTo and we will announce once it is available. IS there a way to take notes? make annotations on the ppt slides or in the comment sections of the ppt file? thanks you.